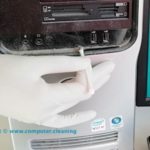 In general computer cleaning products are substances and tools used to remove dirt, dust, and stains from PC equipment such as keyboards and monitors screens. They are also used for the purpose of removing offensive odour and avoiding the spread of dirt and contaminants on your computer. 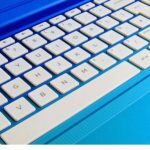 Although a vast majority of computer cleaning products claim to be best. However, the overall cleaning results can be enhanced when a suitable cleaning equipment is used alongside. 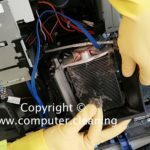 Caution: Refer to your computer manufacturer guidelines when choosing a cleaning product. Some cleaning products are specially designed to kill bacteria however others, called degreasers, contain organic solvents to help dissolve oils and fats. Screen cleaners are basically used for removing dirt, fingerprints, and dust. As a matter of fact, a good quality screen cleaner can be used for multipurpose cleaning i.e. PC, TV, Smartphone, and similarly for other kinds of LCD and plasma screens. 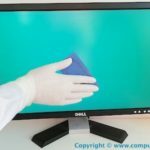 Remember the general glass cleaners have anti-glare coatings, therefore, can damage the monitor screen. Before applying the solution, wipe the access dist off the screen with a help of a clean dry cloth. Instead of spring directly on the screen, us a clean cloth moistened with water. Gas duster, also known as canned air or air dusters, is a product used for cleaning or dusting electronic equipment computer and other sensitive devices that cannot be cleaned using water. Air dusters are ideal for removing dust, dirt and crumbs from sensitive equipment such as computer devices and hard to reach areas. When using canned air, it is recommended to not hold the can upside down, as this can result in spraying liquid on to the surface. Silica gel is generally used to catches dirt and kills germs on computer keyboards, mobile phones, telephones, and mouse. It also the property to absorbs dirt and dust. For best cleaning results apply it lightly and equally on the keyboard, leave it for few munites and then remove it gently to lift the putty along with the dirt. Computer vacuum cleaners and brushes are particularly helpful tools to extract dirt and dust from the keyboard and hidden parts of the computer. The general household vacuum cleaners can be dangerous for the circuit board of a computer unless they have antistatic safety features.